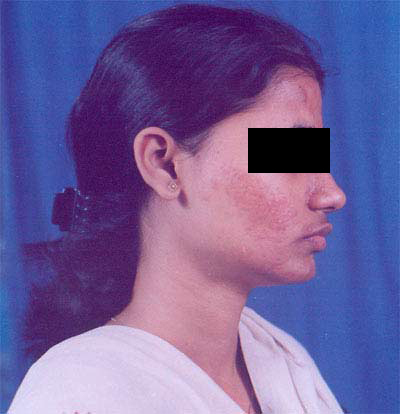 Photo of Ms. S. J. before treatment. Photo of Ms. S. J. 2 months after treatment. Photo of Ms. S. J. 5 months after treatment.